Our Bedford, NH dance program is designed for both the serious and recreational dancer with a focus on self-expression, solid technique, terminology, history, proper alignment, strength, flexibility, coordination, rhythm, composition, and performance. We offer a wide variety of dance classes to accommodate all age groups and skill levels in a professional, nurturing, and non-competitive environment. Our BYPC dance program's wide range of disciplines includes ballet, tap, jazz, theatre jazz, contemporary, and lyrical. We also provide acro / gymnastics classes at our Bedford studio to further enhance our dances students' training and abilities. Additionally, BYPC is an official Leap 'N Learn licensed school. What sets BYPC dance training apart is our spotlight on performance — artistry, imagination, characterization, and musicality. At the heart of BYPC’s dance program is a concentration on musical theatre. We believe that dance is an art form, not a competition. Our program builds valuable life skills including confidence, creativity, team work, and self expression. Also for the serious musical theatre performers, our curriculum blends dance, music, and acting together creating a triple threat performer! Whether you dream of dancing during an opening night for standing room only audiences in Grandma’s parlor or in a Tony award winning Broadway Musical, BYPC has a dance program for you. Learn more about what makes our Bedford, NH dance program special below and browse the many dance classes at BYPC in this section. We choose our dance faculty at BYPC based both on their dance and teaching experiences and expertise, and then we continue ongoing education and trainings to keep them current in the best dance strategies and child development research. Our dance faculty are highly trained, degreed professionals who specialize in each discipline. Their expertise extends to a vast network of contacts in the dance and theatre world, which serves to enrich BYPC educations through opportunities for master classes, performing field trips, and informational sessions. The type of floor used in a dance studio is a very important component of supporting the physical activity in a safe way. Our Bedford, NH dance studios are equipped with floating floors to enhance performance, reduce fatigue, and maximize safety. The floating floors help absorb shock to relieve stress on bones and joints, and the Marley top surface provides a degree of controlled slip without being slippery as to prevent injuries. All this means that our students learn and practice dance techniques in a way that best supports their bodies and keeps their energy levels high. We focus on providing quality dance education and performing opportunities in a fun, creative atmosphere that meets and supports every student’s personal goals. Our Bedford, NH dance studio doesn't concern itself with winning awards, but rather on teaching the beauty and art of dance. Our students are motived by the intrinsic rewards of strengthening their bodies and putting on powerful performances. Dance students also receive personalized attention from these incredible teachers as we maintain a low student to teacher ratio. Dance classes at BYPC remain small with at least a 12 to 1 student to teacher ratio (and 6 to 1 in preschool dance classes) to ensure an optimal learning environment and to result in the highest quality dance education for each student. From beginner to advanced, toddler to teen, we have a dance class to fit your skill level and age group. Once each student enrolls in a dance class at BYPC, they receive a personal assessment and a class placement recommendation. At the end of the year, they receive a progress report and a recommendation for a future dance class placement. From aspiring to be a Radio City Music Rockette or simply wanting to rip up the dance floor at the next school dance, BYPC has fun dance class for you. Dance can offer highly skilled performers exciting college and career opportunities, and our faculty is prepared to help such students reach their goals. Dance can also be a great recreational activity that’s fun, creative, and aerobic. So bring a friend to BYPC and let’s get dancing! BYPC dance recital dates and related requirements are planned and communicated to students well in advance of performances. Students participating in recitals receive two free tickets too! 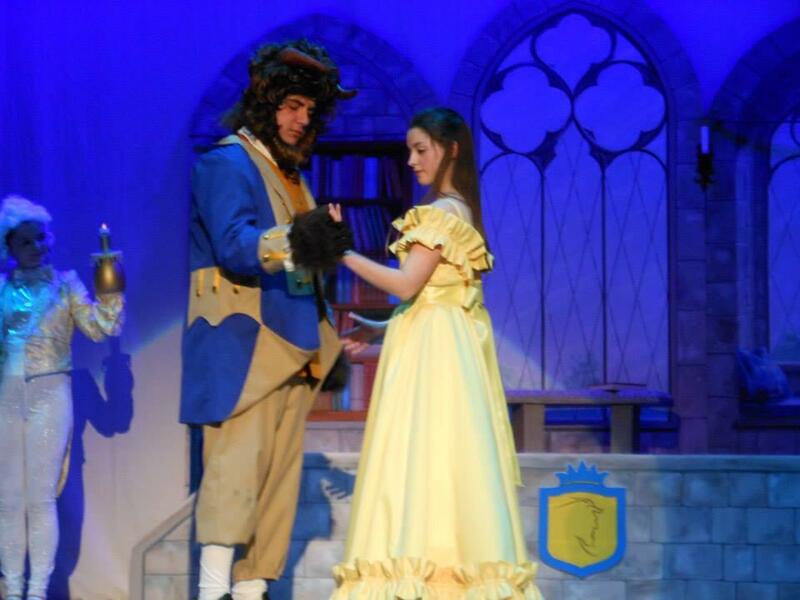 Students may also opt to be a part of our musical theatre productions as well. Joining a BYPC dance program does require following a few policies, intended to increase enjoyment and safety. Please find the main components to reaching success in our Bedford dance classes below, and review the full BYPC policies here. Solid dance technique can be achieved only through regular attendance, which is encouraged for all classes and required for Level IV. Our BYPC dance program is designed to cultivate the performer in each student through sequential and progressive levels. Our instructors demand discipline, commitment, and focus from students; in turn, students gain personal confidence, increased self-esteem, and learn important life lessons including the value of a positive attitude and the positive results achieved through hard work. Proper dance attire is required for all classes at our Bedford, NH studio. Leotards and tights are recommended. A running short is also acceptable. No baggy clothing, please. Hair and bangs must be secured and off the neck. Please understand that these requirements are necessary in order for instructors to identify and correct alignment and technique. For beginning dancers, we recommend registering in our New Hampshire state certified Creative Kids Preschool. In the same location as our BYPC dance studio, our Bedford, NH preschool provides an inspiring environment and full arts-integrated curriculum to introduce students to dance, music, theatre, and so much more. At Creative Kids Preschool, we are always moving and dancing! For students ages 7+ that love to dance and want to attend multiple classes across our wide-variety of styles, they can register for our unlimited dance pass!